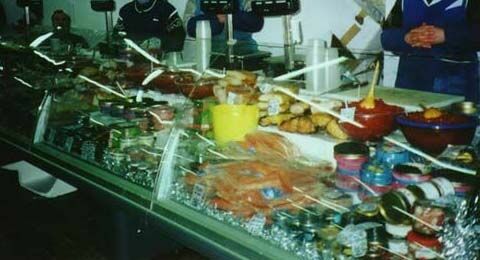 Caviar and deli row in one of St. Petersburg markets these days. That's how they sell it. 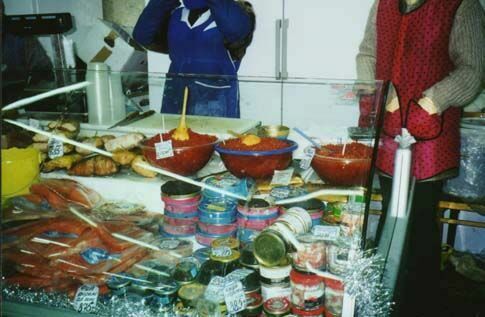 The red stuff with large spoons is salmon roe; the black stuff in open tins is sturgeon and beluga caviar. Sold in sealed cans or from open cans by weight.